Please DO NOT REPOST the picture I sent you. Every color has its beauty, it's hard for me to pick one color since I get bored easily. I'm not much of a book reader. I have enough reading my medical books. Hello, my name is Moni. About me: I'm half Chinese, half Sweeden born in Peru, I'm the baby girl in 4 older brothers. I'm very humble, down to earth, compassionate, honest, loyal and friendly. Usually, I'm calm and don't let things aggravate me unless someone disrespects me. I'm a Surgical Medical Physician. I'm married to an ER Doctor for the past 27 years, we have two kids which we adore. I wanna thank you for your visit to my page and also for being my friend. Fishing, snorkeling, scuba diving, listening to music, dancing, walking & sunbathing on the beach...Shopping. 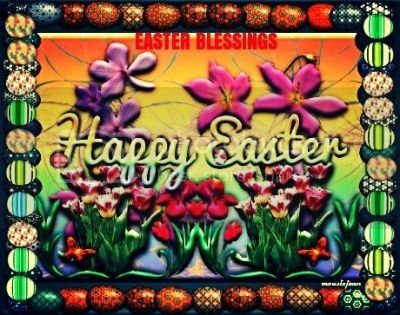 Have A 'SUPER EASTER WEEKEND' Moni Enjoy! 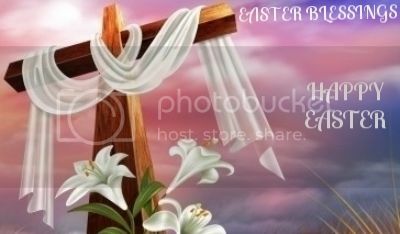 Have A ''BLESSED EASTER'' Moni Enjoy!